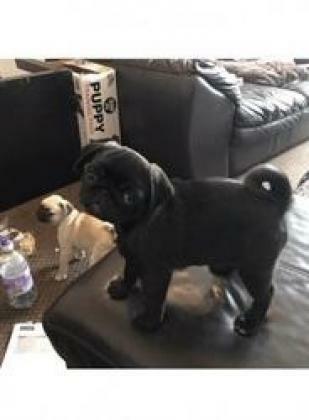 Stunning Brown/Black Pug puppy(girl) for sale. Unusual colouring. Fully vaccinated and wormed to date. Well socialised with other dogs and children. Comes with KUSA papers and 5 weeks free insurance. Micro chipped. Viewing evenings or weekends. Feel free to call with any of questions.